The AMS Systems Multi Wheel Transporter System is a state-of-the-art tool for the rapid removal of disabled Aircraft from the incident site. Each Transporter is designed to support a load of 40 tonnes (88,184 Lbs. ), and have a load area of 4.5m x 2.3m (177" x 90"), thus allowing each Transporter to operate with all standard size 30 and 40 tonne capacity airbags, irrespective of the manufacturer. The Transporter is therefore capable of integration with any existing aircraft Recovery System in use. 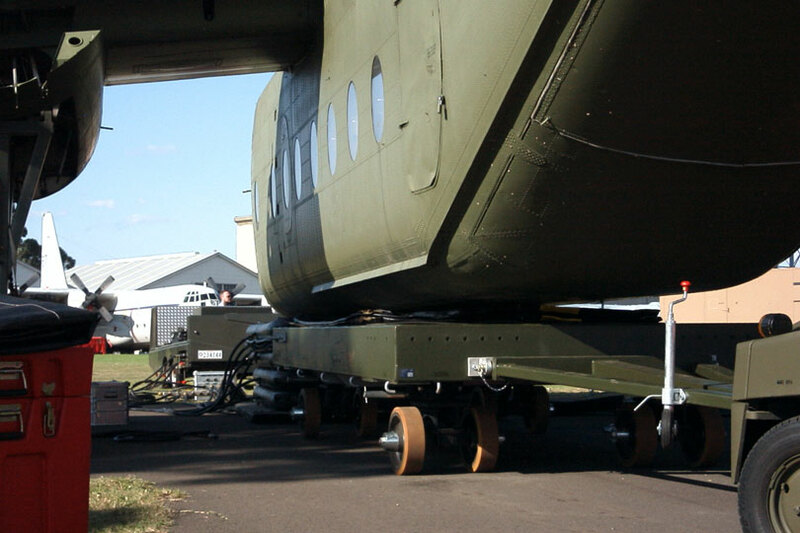 The Transporter is designed to operate on Runways or hard standings, however should the Aircraft come to rest in an area not suitable for wheeled vehicles, the Transporter can be combined with the AMS Sledge Movement System to remove the Aircraft. 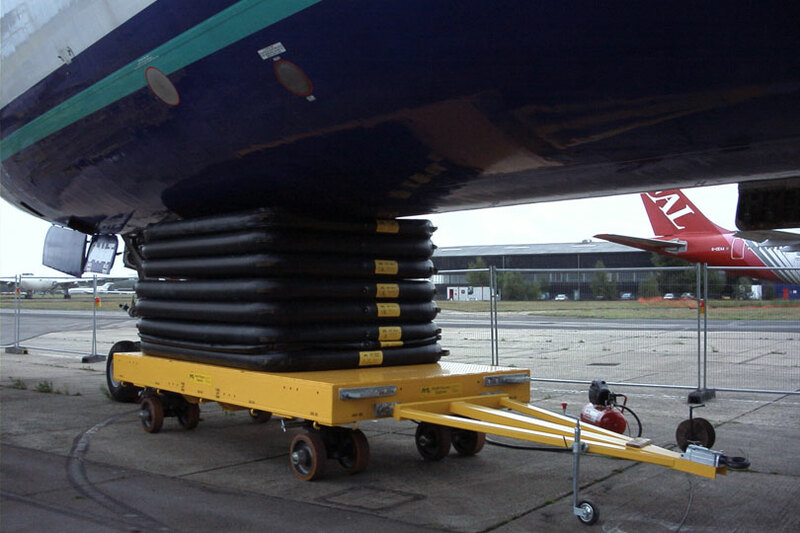 Once the Aircraft has reached a suitable firm surface, the Transporter can be towed off the Sledge and moved safely on the Transporter alone. Low initial cost and minimal maintenance. Without doubt the most cost effective and versatile Aircraft Transporter System on the Market Today.